Arthur Carrier had been born the 1st of March, 1894 in Saint-Frédéric in Beauce county, province of Québec. 1 He had been baptized the same day by Father A. Vézina. The godfather had been Thomas Coté and the godmother Albertine Carrier. He lost his mother (Odile Boulet) when he was still very young . After the death of his mother, he was adopted by his half sister and godmother Albertine and her husband Onézime Francoeur. On Monday, June 24, 1912, he married in first wedding Maria Leblanc daughter of François Leblanc in Saint-Hubert de Spaulding (Audet).2 The officiating priest was Father H. Fraser and the witnesses or "fathers" were Onézime Francoeur and Georges Leblanc. Arthur and Maria were both 19 years old. The nine descendants of Arthur are from this first marriage. Louise Carrier born in June 1962 at Orléans, Ontario. She would mary Peter Schattmann at Sherbrooke, Québec about 1991. Annabelle born about 1990 at Rimouski, Québec. Sarah born about 1991 at Sherbrooke, Québec. Jean-Yves Carrier born August 13, 1963 at Orléans, Ontario. He wouls mary Bianka ------ (from Germany) at the Registry Office in Laar, Germany and in church at Graphenhaussen, also in Germany. Mélanie born December 22, 1993 at Orléans, Ontario. André Carrier born January 26, 1965 at Cornwall, Ontario. He would mary in Brazil, Vania Aguiar born October 12 at Amparo, Brazil. Thania born February 18, 1994 at Brossard, Québec. Henri-Louis born Jult 28, 1995 at Brossard, Québec. Laurent Carrier born October 2, 1967 at Saint-Léonard de Port-Maurice (Montreal), Québec. He would mary at Saint-Léonard, Chrystine Plante born January 14, 1967 at Saint-Léonard. Benjamin born February 22, 1995 at Brossard near Montreal. Eloïse born at the end of 1998 at Montreal. Paul Carrier married Laurence Goyette on Saturday, September 5, 1936 in Zenon Park Saskatchewan.9 Laurence Goyette, baptized on November 30, 1913 in Zenon Park was the dauther of Edgard Goyette and Hélène Foucher ,from Dunkan, British Colombia. Paul and Laurence will live in Bellsite ( Manitoba). Children: Rita, Robert (foster son) and Irène. In 1916, Arthur Carrier and Maria Leblanc have had their first daughter they named Berthe. 11 She will marry Alcide Parent on July 3, 1935 in Saint-Honoré de Shenley.12 Alcide and Berthe, after being farmers in the Prairies, will move to Vancouver (New Westminster) British Colombia. Last known address: 1010, Alderson avenue, Maillardville, B.C. Children: Ghislaine (Madame Laurent Pilon), Monique. Having returned to Saint-Hubert de Spaulding (Audet) in Frontenac's county, Arthur and Maria have had another son. On September 2, 1917, Gérard was born on Road no. 7. 13 He will marry Julienne Boucher 14 on May 8, 1940 in Sainte-Germaine-Boulé, in Abitibi-Ouest. Children: Pauline (Madame Robert Rossignol), Jean-Guy, Denis, and François. In 1918, Arthur Carrier rented the house of Aimé Grondin what forced the young family to move 6 miles to the West, in Saint-Hubert de Spaulding. It is there, that on March 17, 1920, was born Thérèse. 15 She will marry Euchariste Bilodeau in Saint-Honoré de Shenley on October 26, 1938. Thérèse and Euchariste will live at first in Shenley, and after 1949, at 149, rue Napoléon in Lévis, Québec. Children: Ghislain, Guy, Jacqueline, Roch, Roger, Bertrand, Rachel, and Lina. Gisèle Carrier was born on December 8, 1921, in Saint-Théophile. She will marry in first wedding, Gérard Bilodeau, brother of Euchariste, on June 12, 1941, in Saint-Honoré de Shenley. Gisèle will marry in second wedding, Arthur Gaboury, on August 31, 1946, in Shenley. Gisèle and Arthur will live several years in Saint-Etienne de Languedoc (Abitibi), then will return to Saint-Georges de Beauce. (206 , 2nd Avenue, Saint-Georges Est). Children: François, Claire, Louise, Hélène, Michelle, Danielle, Pierre, Laura, and Denise. In the Fall of 1923, Maria gave another son to Arthur. This son was baptized the 1st of November in Saint-Théophile. 17 Henri-Louis will marry, twenty years later, on May 4, 1944, Thérèse Castonguay daughter of Joseph Castonguay and Marie Henley She had been baptized on November 27, 1927, in Zenon Park. So she was 16 years old at her marriage and beautiful with her auburn hair. Children: Marthe (Madame Jean-Guy Fortier), Jean-Luc (who will marry Judith Beauregard on May 25, 1974, in Saint-Hyacinthe parish of L'Assomption) and Bertrand. Henri-Louis died from the multiple sclerosis after suffuring for twenty years, in Saint-Michel de Bellechasse, the country of his ancestors.He was interred in Saint-Théophile, on June 14, 1972. 18 Thérèse Castonguay, will have other children. In 1924, one more moving. This time, Arthur Carrier opted for the purchase of the lot and the house of Joseph Leclerc 19 in Saint-Hubert de Spaulding (Audet). This was the return to Saint-Hubert. At the end of 1926, Maria, already affected by tuberculosis, gives birth to her last son. This ninth child received the name of Origène 23 on December 27. Origène will marry Claire Pinette at Saint-Élie d'Orford, Québec, on August 18 1947.24 Claire, born in the United States, near the border of Québec,was the daughter of Oliva Pinette and Rose Fournier. Claire and Origène Carrier will live mainly in Rock Forest near Sherbrooke. Children: Carol, who will marry Ginette Sanschagrin, on September 6, 1969, in Saint-Denis de Brampton. Pierre, who will marry Ginette Thibeault, on June 15, 1973, in Saint Élie d'Orford. 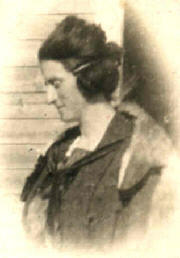 On July 9, 1927, Maria Leblanc, wife of Arthur Carrier, died of tuberculosis at the age of 33 years and 6 months. 25 She was interred in Saint-Hubert-de-Spaulding (Audet), leaving nine young children without their mother. On June 17, 1930, Arthur Carrier married in a second wedding, Angéline Fortin. This second marriage was at first quite difficult. The new bride did not accept that the children from the first marriage came to live with them. Arthur choose to build a "shack" of round logs at the middle of his 100 acres lot he had, near the village of Saint-Théophile. It is Thérèse who, in spite of her young age, played the mother's role for the youngest, whereas the oldest among which Gérard, did numerous stays in foster homes. Albert and Paul, well before their majority, left for the Canadian West. Gérard, for his part, choose the Abitibi. That was how the children of Arthur Carrier and Maria Leblanc were scattered by all Canada. 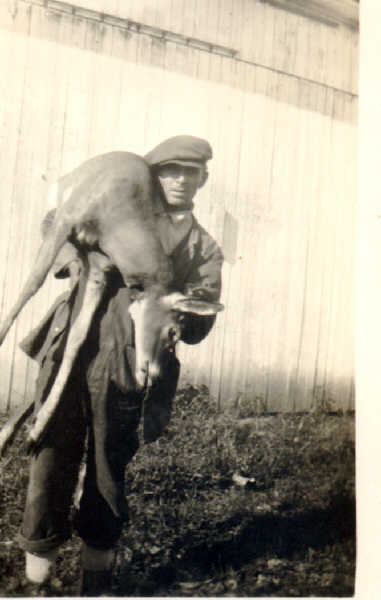 In the spring of 1935, Arthur "went up" to Abitibi with the intention to get a non cultivated lot on Road 2 (rang 2) 26 in Sainte-Germaine-Boulé.27 The lot he was looking for was later sold to Donat Drouin. Arthur Carrier returned to Saint-Théophile. In 1943, he went temporarily to Zenon Park, Saskatchewan but returned soon in Beauce. Arthur Carrier became again a widower before leaving us himself in 1973, at the age of 79. He died in Saint-Georges-de-Beauce from a cancer of the respiratory tracts and was interred on July 18 in Saint-Théophile. 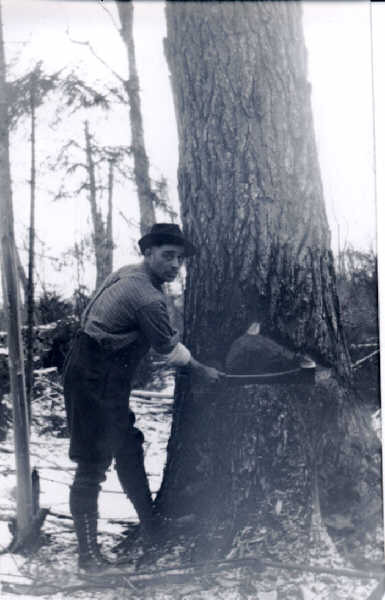 He smoked the pipe and enjoyed amazing his friends by swallowing boiling maple sap. When he lit his pipe, he used to rubb the match under his chair, crossed up his right leg in a quick movement and continued to talk without using his match which burned up between his fingers. It was a particular feature of him. To keep himself in good health, he gave himself from time to time what he called a "suerie" (perspiration) . This curative practice consisted in filling up a thin tank with fine hay residus and immersed that with boiling water. You shall then sit down on the whole, by making sure to cover yourself with several woolen blankets. The perspiration was guaranteed. 1 Taken from the Register of baptisms of the parish of Saint-Frédéric for the year 1894. 2 Taken from the Register of marriages of the parish of Saint-Hubert de Audet for the year 1912. 3 Taken from the Register of baptisms of Saint-Samuel du Lac Drolet. 4 Not related. The date of the marriage: July 9, 1933. 5 Last known address: P. O. Box 344, Lorette, Manitoba. 6 Taken from the Register of marriages of the parish of Saint-Jean l'Évangéliste of Macamic, Québec, for the year 1956. 7 Taken from the Register of marriages of the Catholic parish of Précieux-Sang, Norwood (Saint-Boniface) Manitoba for 1971. 10 Taken from the Register of the parish of Saint Columban, Swan River, for year 1982. 11 Marie-Madeleine-Berthe; her father used to call her Bertha. 12 Éloi-Gérard Talbot, Genealogie des familles originaires des comtés de Beauce-Dorchester-Frontenac, 1971, vol. 2, p. 272. 13 Joseph-Alfred-Gérard, taken from the Register of baptisms of Saint-Hubert de Spaulding (Audet) for the year 1917. 15 Taken from the Register of the baptisms of the parish of Saint-Hubert de Spaulding (Audet) for the year 1920. 16 As told to the author by Gérard Carrier, on Sunday , November 20, 1977. 17 Taken from the Register of baptisms of the parish of Saint-Théophile for 1923. 18 Taken from the Register of the parish of Saint-Théophile, for the year 1971. 19 Brother of Mignon Leclerc. Maria Leblanc's photo taken in front of a house with two children playing in the door opening (Gérard and Berthe) was taken in front of this house. It is in that house that she died in 1927. 21 Used Marie as first name. 22 Practice which consisted in adding some sand against the foundation of a house to make the basement warmer and give a slope which facilitates the drainage of surface water. 23 Taken from the Register of baptisms of the parish of Saint-Hubert de Spaulding (Audet) for the year 1926. 24 Taken from the Register of marriages of the parish of Saint-Élie d'Orford, for the year 1947. 25 Taken from the Register of sepulturs of Saint-Hubert de Spaulding (Audet), for the year 1927. 26 Country roads in Abitibi have even number, eventhough lands situated North of them are in the row having an odd number (here no 3). 27 Variation: Sainte-Germaine de Palmarolle. The toponym of Sainte-Germaine was chosen because many pioneers came from Sainte-Germaine-de-Dorchester.